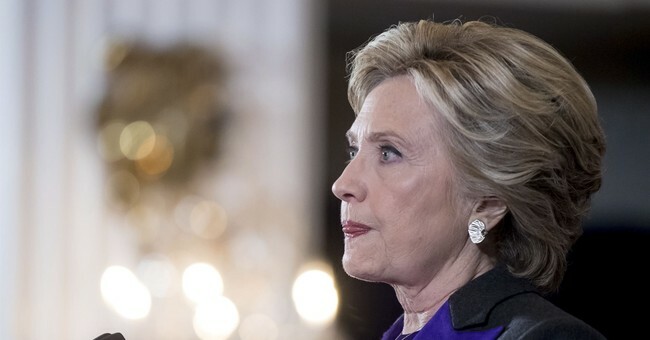 Two lawsuits that asked for the FBI to continue its investigation into Hillary Clinton's missing emails, one filed by Judicial Watch and the other by Cause of Action Institute, were dismissed by a federal judge on Tuesday. According to reporting from The Hill, this is the second time U.S District Judge James Boasberg has stopped lawsuits filed by the groups. In his decision, Judge Boasberg explained that because the FBI had provided new information regarding Clinton's emails, there is no reason to believe that any additional information was withheld or that further information concerning the emails is recoverable. Due to this fact, the judge said the lawsuits "cast no real doubt on that conclusion." Judge Boasberg also stated that though the D.C. Circuit Court of Appeals explained that the State Department had not done enough to recover all of Clinton's emails, the lawsuits do not require the FBI to continue to look anywhere and everywhere for further emails that may or may not exist. If the emails did happen to be held by another party, officials would not know where to begin to figure out who and where those parties are. While it is plausible, albeit barely, that some third parties might retain relevant records nearly a decade after the conversations, and that the FBI might convince such parties to turn them over voluntarily, the Attorney General has no way to know who those third parties might be. The FBI understandably deemed this path too far afield to pursue, and the Court once again concludes that it is implausible that the Attorney General would buck its own investigative arm to demand otherwise. The Court of Appeals may have asked the Government to “shak[e] the tree harder” for more emails, but it never suggested that the FBI must shake every tree in every forest, without knowing whether they are fruit trees. As for the Clinton emails that have been recovered, as reported by CNN at the end of October, President Trump has asked the State Department "to accelerate the release of any remaining Hillary Clinton emails in its possession as soon as possible."